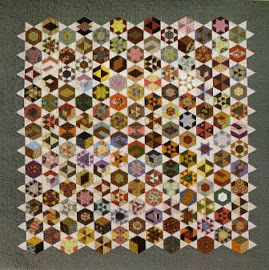 PENNYLANE PATCHWORK: Time for some hand quilting! The blocks look great all spread out like that. What sort of border? Any plans there yet? Our blocks are looking lovely :)) Love how you have set them! Hi Sharon, Can you work out which one is your block? I just ordered some Quilters Dream Batting to quilt it with.